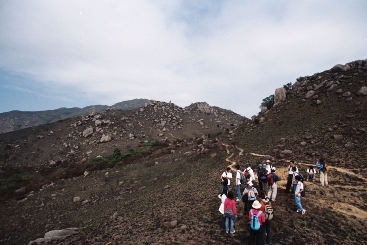 This trip starts at Pak Mong Village in Northern Lantau Island, it is a pretty leisure trip with captivating scenery. The first part is basically cemented footpath. 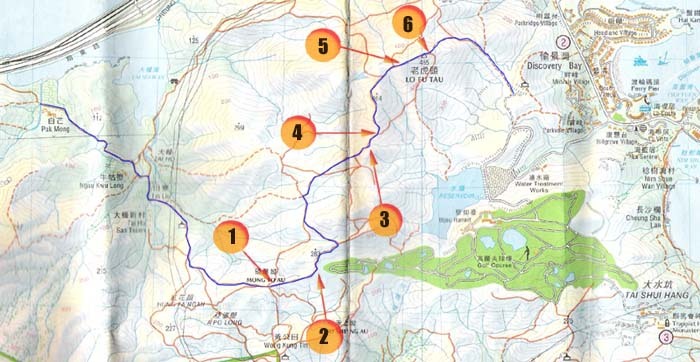 The relative difficult part is the one that decends from the Tiger Head peak to Discovery Bay. That portion is rather steep and is covered by loose sand. Be careful! 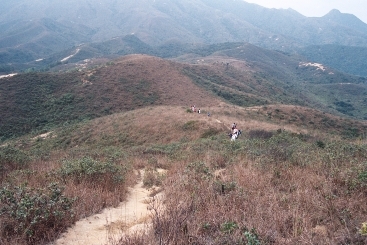 This is around Mong To Au (望渡拗). Here we hiked past a golf court which was fenced by bared wire. This area is scattered with big rocks, the shape of them can inspire a lot of imaginations. 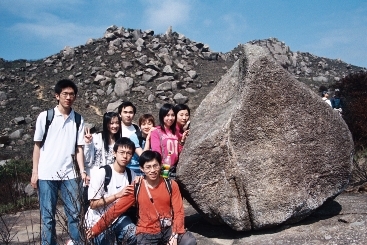 That big rock is dubbed as The Rock of Divine Peach (仙桃石). 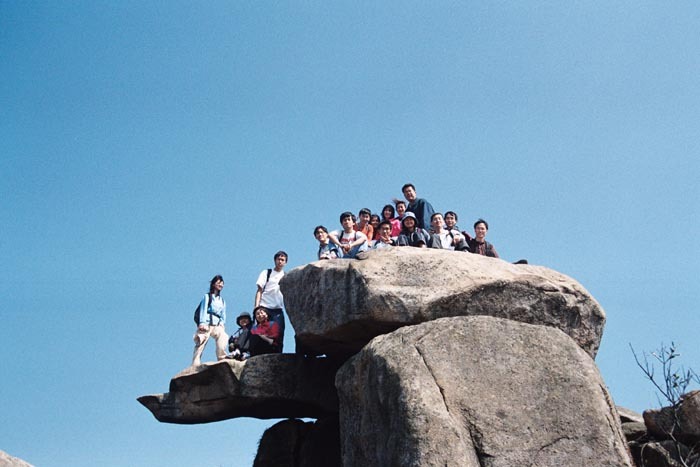 This is Cannon Rock (大炮石). 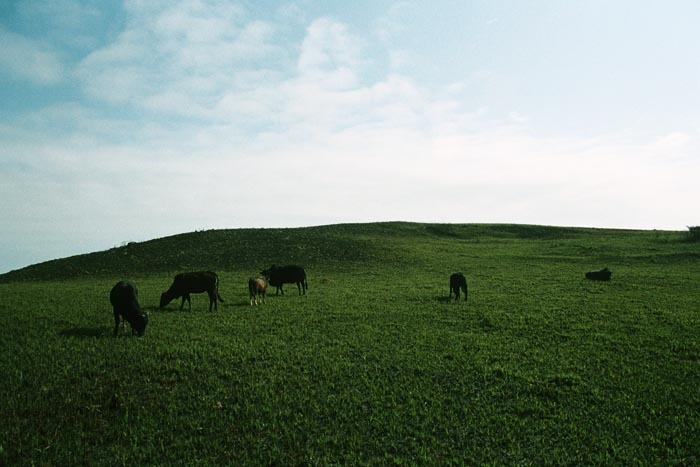 This is not a grassland in Europe. This a little grass patch right next to the Tiger Head peak. The cows there are not reared, they are nourished by Lantau Island. We are leaving the Tiger Head now. 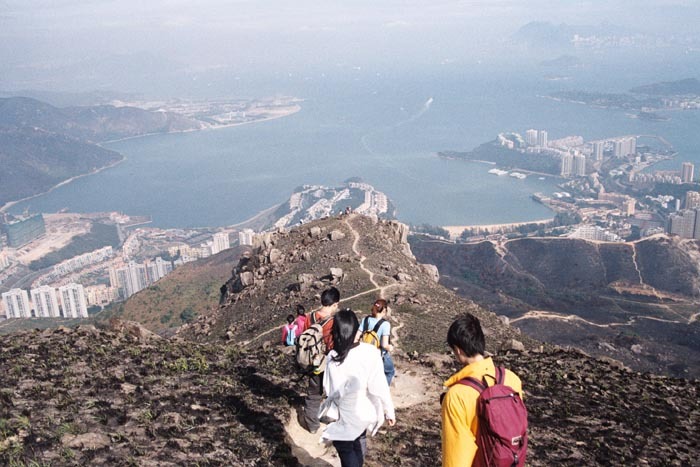 The town below is Discovery Bay. The land looks barren because it was devastated by hill fire.